Maureen Nasser is in her sixth year as Assistant Athletic Director for Media Relations. Here’s an interview with Maureen. 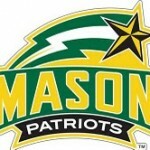 Also see this site for information about covering sports at George Mason. If you plan to cover a George Mason sports event, you must notify the instructor by e-mail a minimum of 24 hours before the game or event so that I can forward your e-mail to the sports information office. Your SUBJECT line MUST include Comm371-001/Sports Writing & Reporting, the game or event you want to cover, and the date. GRADED EXERCISE: In the comments section below, add the three things you learned from Maureen Nasser’s presentation. Deadline is 30 minutes before class on Tuesday Feb. 2. No exceptions! This entry was posted on January 26, 2010 at 10:47 am	and is filed under 3 things, Comm371, sports. Tagged: Comm371. You can follow any responses to this entry through the RSS 2.0 feed. You can leave a response, or trackback from your own site. 1. The responsiblities did not only include publicity and promotion but statistics and crisis management. 2. She applied to 40 internships and only got 3 interviews. 3. The story about Ryan Pearson and his car crash. 1. Her main responsibilities include publicity and promotion of all athletic teams and publications. 2. She develops media plans for each team/event, and fosters relationships with media. 3. Using social media (Facebook, GoMason, Facebook, Twitter) gives the advantage of controling your message. Maureen Nasser was very helpful with everything she had to say today! Three things she said stood out to me most. First, the fact that the main focus of sports information directors is Statistics and stories. Of all the things they do including; media guides, crisis management, website, etc. these two things are most important. The second thing was that the media never misses a professional practice. It makes sense to me but I also thought practices were closed to the team, trainers, and coaches. Missing a practice could mean missing a fight, or an injury and it is important for team journalist to be the first to cover their team. The last point that stood out was the fact that journalism wants stories about personalities and things outside of the games and events. People know the score and what happen so reading about it is not as entertaining as reading about a player that did something. All of theses things make since and were very helpful! Special thanks to Maureen Nasser!!!! First off, I would like to say I really enjoyed Maureen Nasser in class today. I learned that personal relationships are very important for publicity and promotion. Most of the time it isn’t what you know, but who you know. I also learned that internships are super important because the relationships you create could benefit you in the future. While working in the internship, you must treat it as your job, no matter the pay. Lastly, I learned that the influence of social media, although innovative, can be detrimental to PR. When viewing social media outlets, sometimes it’s hard to find creditable sources. With that said, readers should always do their research before passing the information received on to someone else. 1) She uses social media outlets such as Twitter and Facebook to promote GMU sporting events around campus. 2)I learned that the sports media world is a small field, and any internship experienc will help his or her careers in the long run. 3)She has responsibilities for the official website, archives, photos, and other publications at George Mason’s athletic website. 1. I learned that there are differnt Sports Information Directors per sport in some cases, not just one in charge of all. 2. I learned that sometimes you have to pitch your own story around to media outlets, they won’t always come and find you and your story. 3. I learned that it is her job to educate coaches as to social networking sites, and the dangers of such sites, so that coaches can educate their players. 1. The responsibilities of Sports Information in collegiate athletics include publicity and promotion, publications, the school’s official athletic Web site, statistical information, archives, photographers, and crisis management. To be honest, I was pretty surprised that these responsibilities were so extensive– especially when the entire department generally only has one to 10 people working for it. 2. Crisis management is critical. After hearing about the incident with Tony Skinn a few years back, I learned the importance of “getting ahead” in a story. By doing so, you are able to control the story and not the other way around. Ultimately, it seems that you stay in control of how information is released when you get ahead of a story, and keeping that control can help prevent the valuable image you are trying to maintain from deteriorating. 3. Lastly, I learned that collegiate players MUST be educated about the boundaries of what they may say to the media. By doing so, players can ensure that they preserve the integrity of not only themselves, but the university that they compete for. Thank you again to Maureen Nasser for coming to speak to us! 1.One of Maureen’s responsibilities is having the statistical information about sports teams viewable on GoMason.com. 2. Campus television and radio is the primary outlet for ALL sports. The Broadside is Mason’s. 3. The hardest thing about being on the press table is you can’t cheer or show emotion. 1. The importance of crisis management. The Tony Skinn punch could have easily become a PR catastrophe if GMU did not take ownership of the story. It also helped that the TV station covering the event showed Maureen the video before airing it on the news that night. 2. No cheering in the press box. I knew reporters could not cheer but I did not know that it applied to everyone who is there. 3. The extensiveness of cross-platform promotion. Even with the advent of social media such as Facebook and Twitter, GMU still utilizes old media such as TV and radio. I also learned about how GMU struggles to get space in the Washington Post, since most of its readership is interested in Georgetown and Maryland. 1. It’s better to know the people who work for the media and establish a good relationship with them so you can get ahead of the story before the story gets ahead of you. 2. Although Twitter is a quick and effective way to communicate, it can also be a PR nightmare. 3. No matter how big of a fan you are of the team, you cannot show emotion at the press table. 1. It is best to take care of business before the media gets to any controversial actions by players or coaches. By doing this, you are able to control the story and not letting the media control for you. 2. Maureen’s job is definitely all-eoncompassing. She takes care of just about everything including publicity & promotion, publications, official website and so forth. 3. I learned the importance of staying professional and not showing under any circumstance. This applies to not only players but to reporters and journalists as well. One must never show emotion in the press box regardless of their affiliation with any team. 1. Showing interest in how much you want to work, or how hard you are willing to work for the job is sometimes more important than all of the other things you usually put on your resume. I remember her saying that she once hired a guy with more than a sufficient amount of experience but when he arrived to the job all he did was read a book. He did not show much interest in his duties or obligations once he was hired, and for that reason, she said that the amount of interest you put in is sometimes more important than just being able to write stuff down on your resume. 2. I learned that there is a 10 minute calming down period for the players before the media can enter the locker room. I never knew this before then, but think that it is probably one of the smartest rules that exists for players because we all know we have slipped and said ugly things in the heat of the moment. Also, it allows for the media and the players to still keep a balanced relationship because players do tend to lash out on the media, or the first thing in front of them, and that could get ugly as well. 3. Lastly, I learned that as a beat writer it is important to be at every event and practice so that you don’t miss anything. Maureen said that the Washington Post and New York Times are normally at the practices as well, and the worst thing that could happen to you as a beat writer is another newspaper reporting on an event before you do. It is your job to catch and report everything that occurs. She also mentioned that it’s hard to keep a secret when there’s more than one person involved. So along with being at all of the events, it is also important to gain a relationship with the players because secrets are rarely kept, and you want to be the first to know it is spilt. Having Maureen Nasser speak was extremely beneficial and I learned a lot about the sports PR business. 1. The most significant thing I learned from her was the importance of being persistent. Maureen applied to 40 internships and only had interviews with 3. This did not discourage her and she kept trying. This persistent attitude is definitely something I will try to emulate. 2. The story about crisis management was very impressive. I became aware that the media is always present, especially with a highly public NBA team. The fact that Maureen was able to control the story before it hit the air at 11pm was excellent and very professional. 3. It is important to educate players and coaches about the impact twitter and facebook has. Anything they say will instantly reach thousands of people. 1. Whether you are working for an unpaid internship or a paid internship, act like it is a full time job. 2. Twitter is a P.R. nightmare. 3. The hardest thing about working in the press box is that you cannot show any emotion, not even for your favorite team. 1. When reporting a story be sure that the sources used are reliable. 2. The creation of Twitter has become a nightmare for people in Public Relations. 3. Attempt to get ahead of the story before it is released. An example would be the Tony Skinn story she spoke about during class. Although I was not in class Thursday, I feel by reading this informative posting I can get the thoughts of what people learned from Maureen Nasser. 1. Always be persistant. The idea that she applied to 40 internships and only got three interviews is a difficult thing to hear. 2. Working in the PR world is not always rainbows and butterflies. It seems there are some pretty difficult things to deal with. 3. The most difficult concept to understand for myself was that you cant show emotion for your team. 1) How many places she applied to get a job in her field. She stated that she applied to over 40 companies and only heard back from three of those. I would think that one would lose hope and confidence but she said she was undeterred. 2) The different aspects of her job. I knew that PR related positions had a good deal of work but to see it all layed out was overwhelming. She not only is dealing with reporters and getting the stories out that she wants. She has to deal with the players and an ever changing social media that make scandals only a click away. 3) The story about Ryan Pearson was fascinating to me. I had actually heard that he had been shot also. I could not believe that rumor came from a newsman not doing his research and saying that Pearson had been shot instead of in an accident as a child. One of the points Maureen Nasser was trying to convey to the class was the importance of contacts in the public relations profession. By taking the opportunity to meet people and build bonds it will be beneficial to someone’s career. Another thing that was learned by the class was the fact that the media while covering a team can’t just show up to a game and write a story. If a writer wants to write a full in-depth story, he or she must find the back story by becoming immersed in the subject matter that they are writing about. A third thing that was taken away from the presentation was the fact that sports media has started to encompass not only what is done on the field or court, but also whats going on in the athletes personal life. The public has become infatuated with sports stars. Now sports stars are becoming sports celebrities and every aspect of their lives are reported on. 1. Generally when covering a game one should focus on what is actually happening within in the game, but depending on the type of story your’e writing sometimes special attention should be paid to off court issues, such as player vs coach disputes. 2.Keep your ears open, stories can come out of anywhere. Example of a player mentioning a bad car crash when he was a child and how the story could have easily been overlooked. 3. She said the Gilbert Arenas incident was DEFINITELY leaked by players. This tells me people will talk to you even about controversial subject, I just have to be willing to ask the questions. 1. One way to promote George Mason basketball for the 2009-10 year was to create an electronic media guide. Regular hard copies of media guides can be expensive and are often overlooked. A virtual media guide is an innovative, cutting-edge way to promote various aspects of the team to fans. 2. It is necessary to apply for as many internships as possible, especially today where the job market is so competitive. Also, by applying for as many internships as she did, it provided her with a great opportunity for networking. 3. While working in the press box, it is essential that you don’t show any emotion, or let yourself cheer for one team or the other. It is inappropriate to so much as wear the team colors for one of the teams that happen to be playing in the game, because it could suggest that you are biased in your reporting. 1. That while covering a sports game it is essential to pay attention to the game, though off court issues are interesting and could be prevalent. The main reason you are there as a journalist is to cover the game itself. 2. While in the press box you are not allowed to have any emotion towards the game. If you want to be a fan, pay for a ticket and watch the game. 3. Just how large forms of communication such as Twitter and Facebook have become. 1. All of the story about what had happened with the Tony Skinn incident at the CAA tournament in 2006 and the damage control that happened. 2. That it seems pretty easy to get some media credentials for the floor for the games. 3. How people who didn’t know what had happened at an incident at practice before there was media coverage at them, learned about their incidents very quick. 1. The job she holds is much more complex then what it seems to be. 2. With the expansion of social networks, she must communicate with the athletes to make sure they do not put anything harmful to the program at George Mason or is offending other University teams. 3. The job she got at George Mason was due to her vast experience in the field already, as George Mason was looking to expand what the job entailed. The deadline for this assignment has passed. Three of you did not participate. Why? This is a graded exercise. as a most excellent web site for hottest updates.